For the fist time in 80 years, venerable French furniture company Tolix has unveiled a new chair design. Created by the firm in collaboration with French designer Patrick Norguet, the Tolix T14 is a thoroughly modern chair that stays true to what Tolix has long stood for: industrial elegance, durability, and comfort. The simplicity of the Tolix T14 hides its technically-advanced construction: the shell-shaped seat is crafted from a single piece of very thin but very strong stainless steel. This means a notably light weight and resistance. 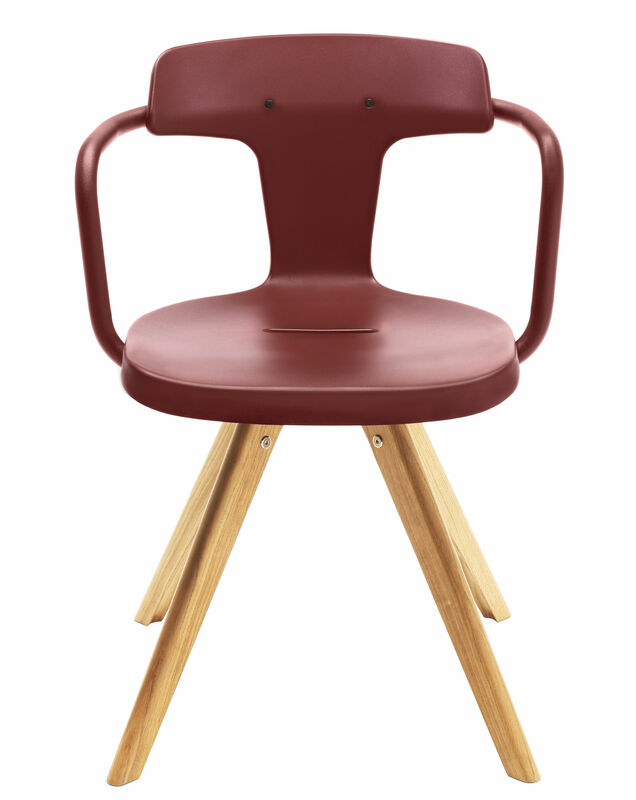 Called an offspring of the original Tolix, the Tolix T14 Chair carries the Tolix genes in its construction and shape and is made in the same factory in France. The T14 Chair incorporates Tolix design signatures, such as a handle incorporated into the seat for easy maneuverability.